Free Kids Coloring – This website has a handful of coloring pages featuring Max and the Wild Things. Coloring Book – Here, you'll find several free coloring pages that feature scenes throughout the entire book. Allow children to color the pages while listening to the story. They can make their own versions of the books. Encourage those who are ready to put captions that tell the story on their pictures. Allow for pictures to be colored in using markers, chalk, colored pencils and/or crayons. Also allow for different types of paint to be used. Paint over crayon for fun patterning effects. Pictures can be cut out and glued onto a roll of paper to practice sequencing. They can also be cut out and put onto craft sticks or paper lunch bags to use in a puppet show recreation of the story. Larger drawings can be blown up for making masks so that children can act out the story. Encourage children to draw their own pictures from Where the Wild Things Are. They can do self-portraits, pretending they are dressed up as Max. They can also create their own Wild Things. Trace their bodies on large paper for some life-sized versions of the Wild Things. Look at the basic shapes in the Wild Things. Their heads are horizontal ellipses on top of vertical ellipse bodies. Eyes are large circles. Horns are triangles. Look at the patterns in the Wild Things' clothing. Different kinds of lines make up their costumes. Have children make up their own patterns. They can also get some practice drawing Wild Things by tracing over pictures from the books or coloring pages. 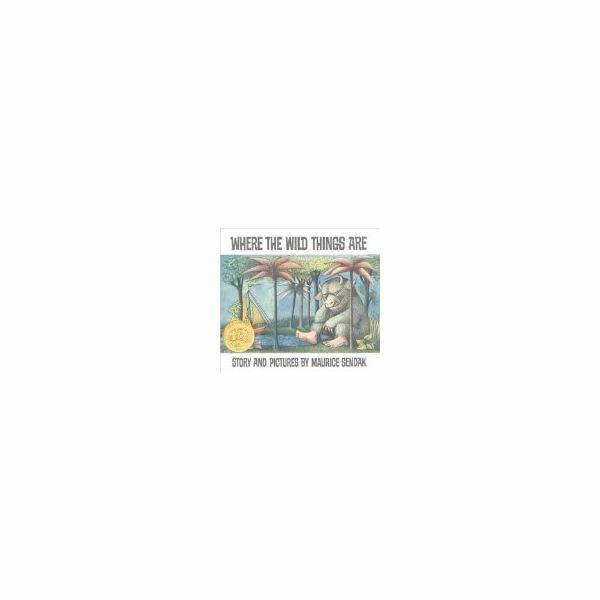 Make drawings of Where the Wild Things Are pop from the page by putting them on a tagboard. Supplement the coloring or painting with collage materials such as yarn, colored pasta and rice, foam pieces, etc. to create the texture of the Wild Things' costumes and bodies. Use collage materials to create puppets on craft sticks or paper lunch bags. Use Play-Doh, modeling clay, or Model Magic to create characters from the story. Use different colors for all of the parts, or paint the finished product. Create a scene in an old box, shoebox or on a large piece of poster board for a full three-dimensional scene. Children can be very creative when designing their own costumes. Give them an arsenal of art materials and let their creativity go wild as they work together. Or, try some of these ideas. Poster board can be tied together like a sandwich board. Children can decorate one piece as the front of the costume, and the other piece as the back. Dinner-sized paper plates are a classic way to make masks. Punch holes on the sides and tie string around it to wear. Or, glue the mask to a craft stick for a hand-held version. Have children bring in old clothes, or purchase inexpensive white t-shirts. Let the children decorate their Wild Things costumes. All of these activities allow for creative expression. They can also demonstrate an understanding of the story when they are used to depict scenes or the sequencing of the book.